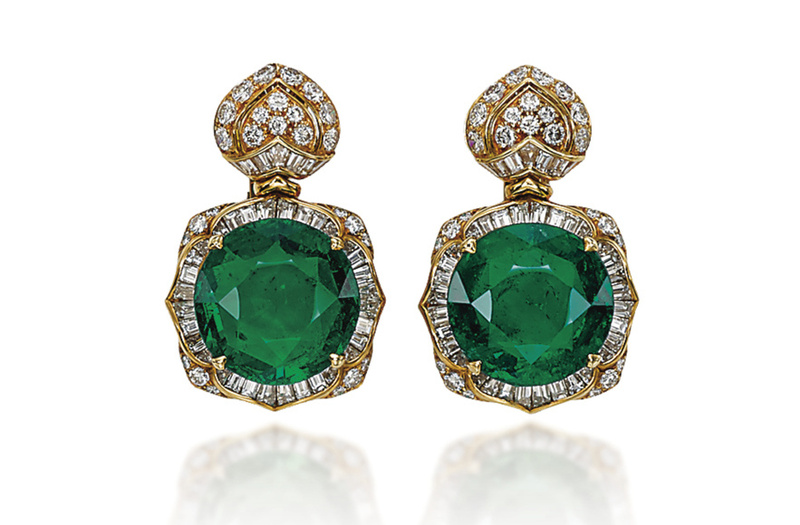 A pair of Colombian emerald and diamond ‘Lotus’ earrings, by Bulgari. Price Realized: CHF797,000 ($825,148). 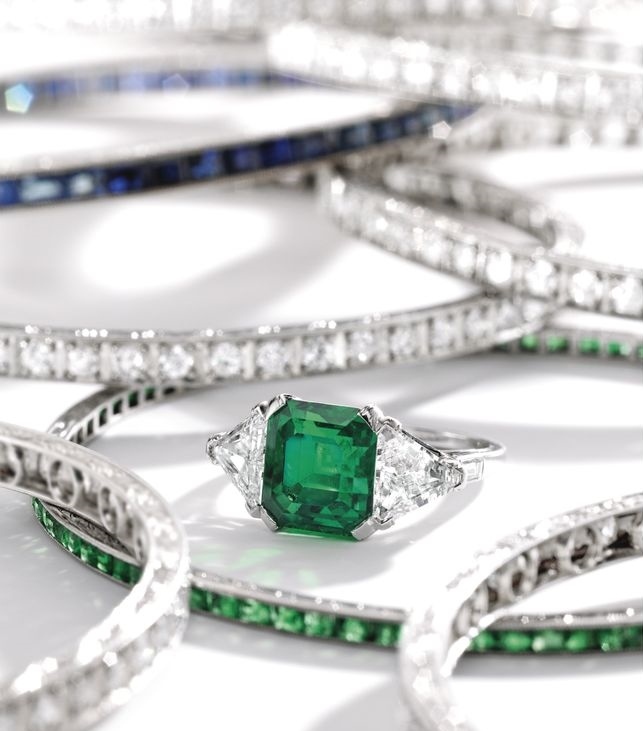 Photo: Christie’s Images Ltd 2014. 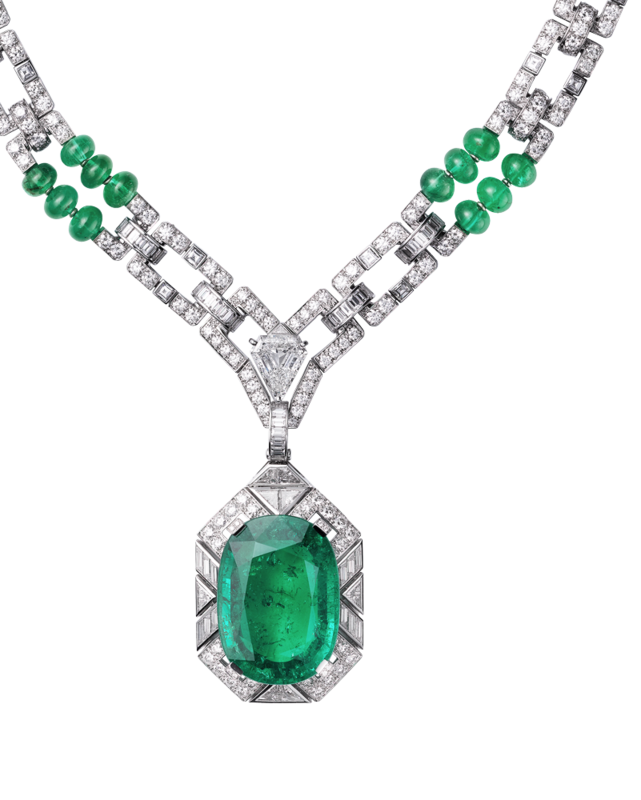 Each pendant centering upon a circular-cut emerald, weighing approximately 11.56 and 11.37 carats, to the baguette and brilliant-cut diamond stylized lotus flower surround and top, mounted in gold, 3.2 cm, in black leather Bulgari case. 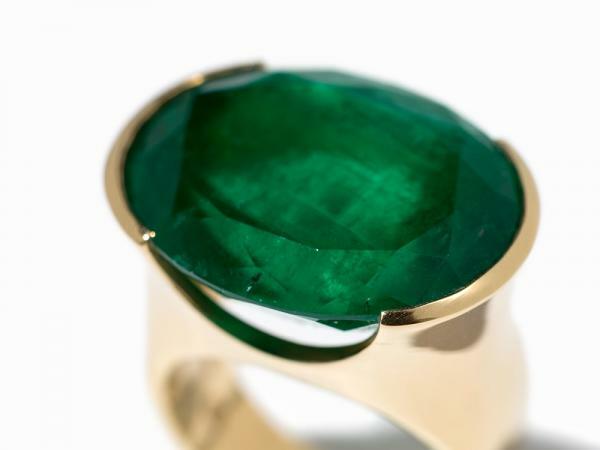 Signed and with maker’s mark for Bulgari. 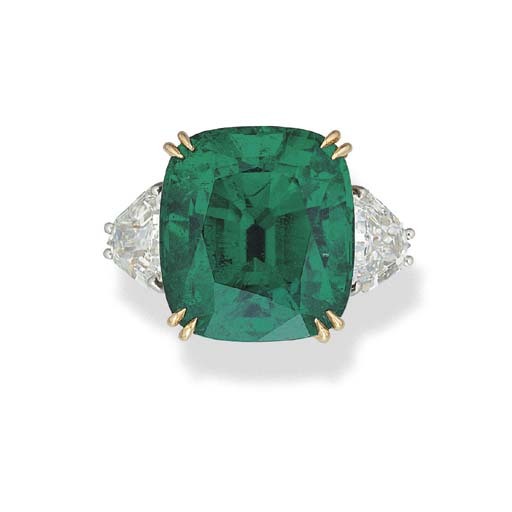 A 17.84 carats Colombian emerald ring. 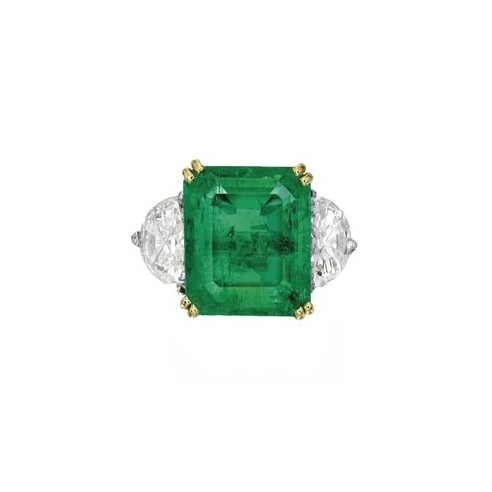 Price Realized: CHF1,385,000 ($1,433,914). 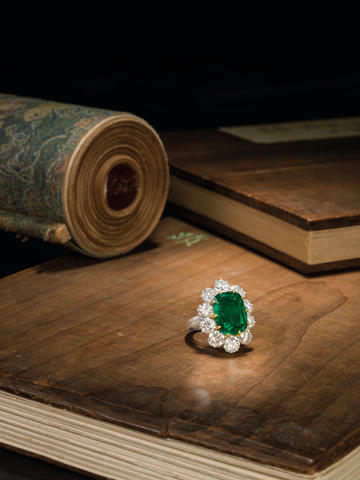 Photo: Christie’s Images Ltd 2014. 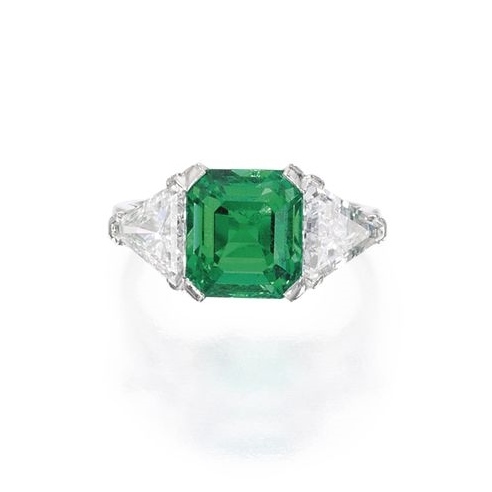 Set with a cut-corner square emerald, weighing approximately 17.84 carats, to the plain hoop, ring size 7 with ring sizer. 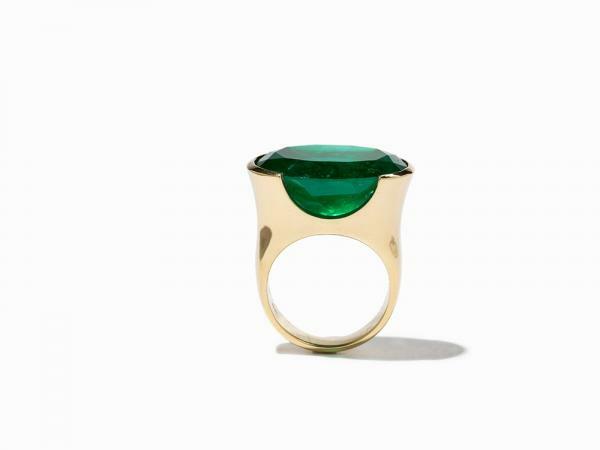 This massive gold ring from Austria features a high-carat Colombian chivor-emerald of 21.145 carats. 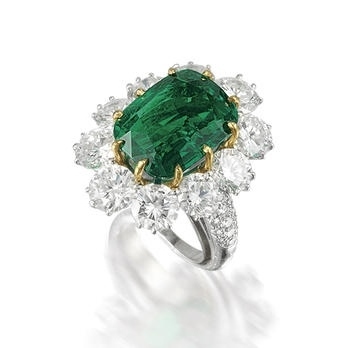 The oval cut emerald is mounted in an open bezel setting, which allows a broad light incidence into the stone. 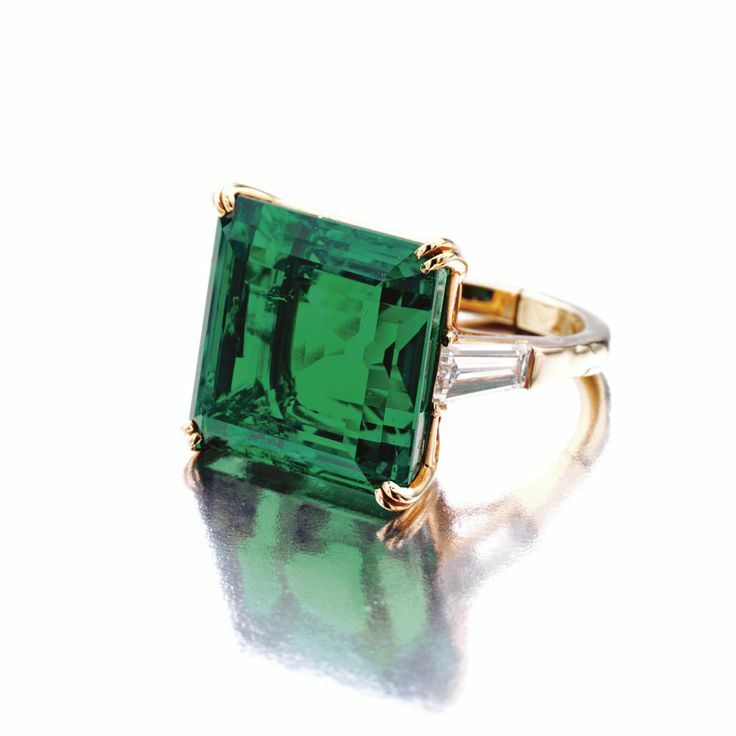 The wide golden ring band harmonizes perfectly with the mysterious green of the glittering emerald, which makes the gemstone so popular. 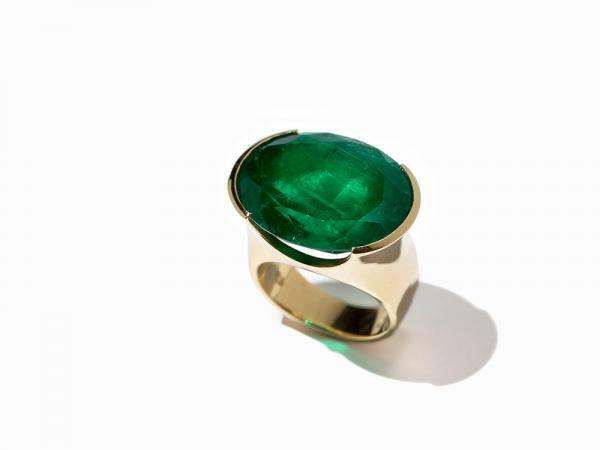 The ring is hallmarked with the fineness and the maker’s mark ‘dc’ on the inner ring rail. It is in very good condition, showing slight traces of use. 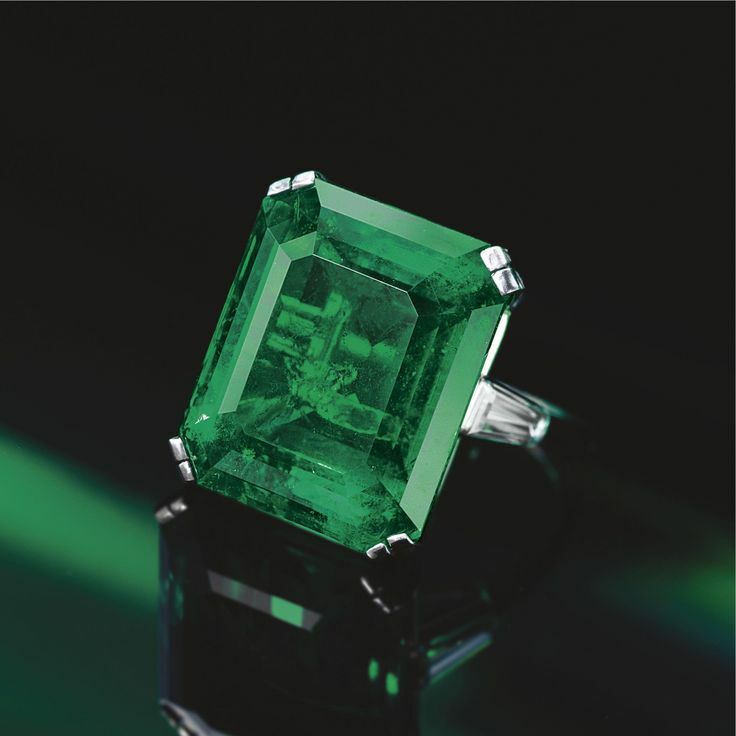 The ring size is 53 (US: 6.4), and the overall weight is about 22.7 grams. 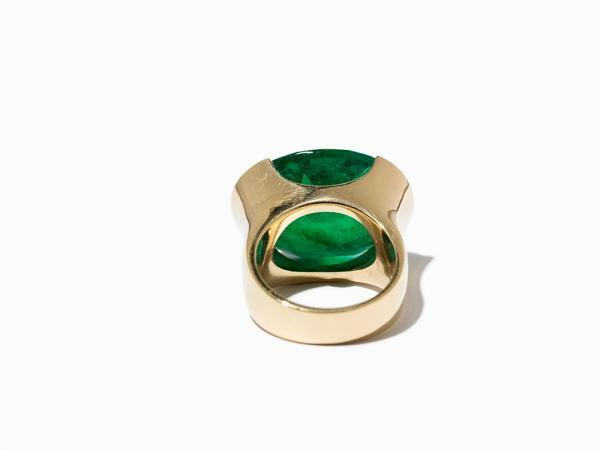 The ring comes with an expertise of Gabriela Breisach, Vienna, from 2006. 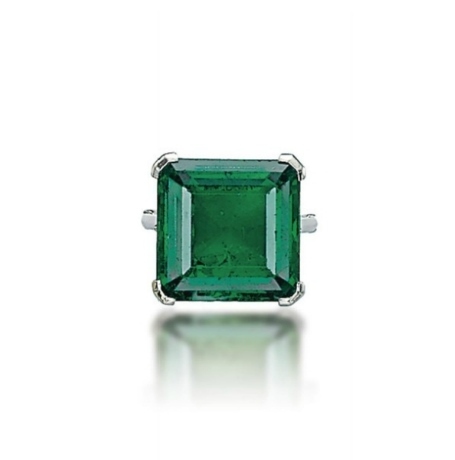 Platinum, one cushion-cut emerald (26.60 carats) from Colombia, one cut-cornered triangular step-cut diamond (2.02 carats), emerald beads, calibré-cut diamonds. 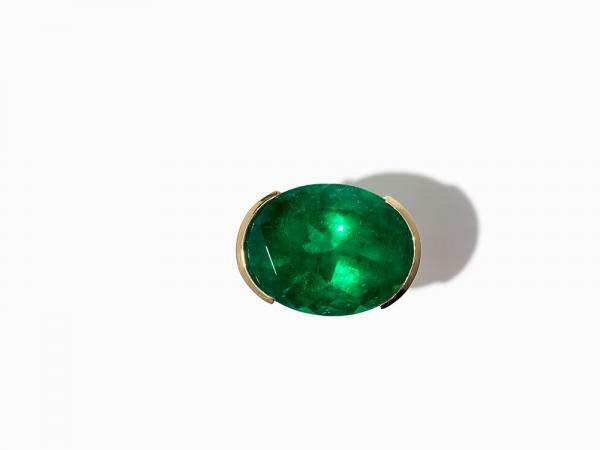 The emerald pendant can be removed.